A mere 7 million light years away, NGC 55 is part of the Milky Way's Galactic "Neighborhood." Drawn with 2B graphite pencil on Canson 65# drawing paper, then processed with GIMP 2.8 software. 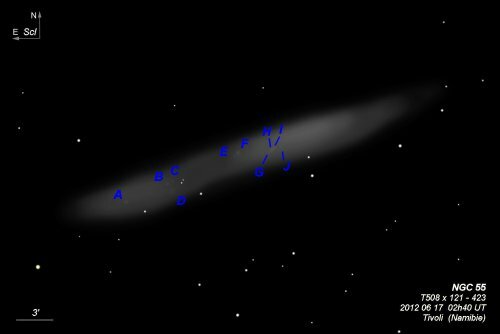 This is a very nice sketch of M 55. I have seen it but have not sketched it yet. Nice work Roy! I'm fighting a severe case of aperture fever here! Very nice sketch of NGC 55 "Local" Galaxy (In Sculptor) . 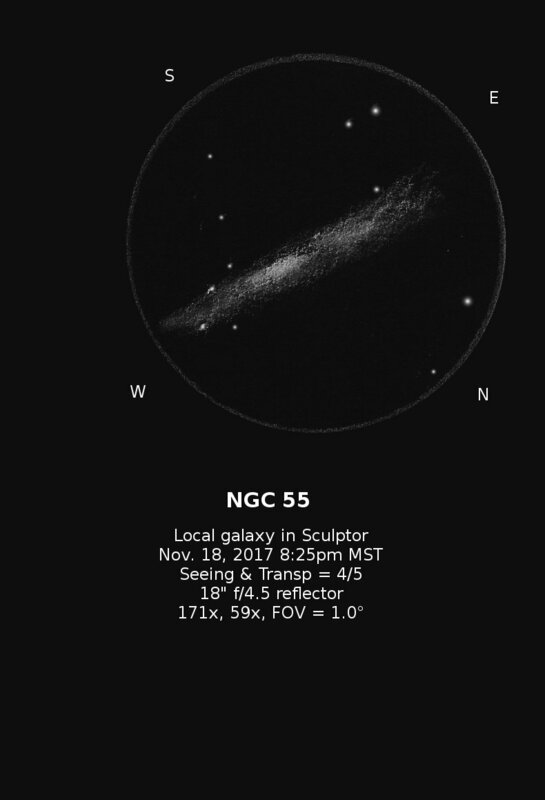 In spite all my efforts, I could never see NGC 55 from french latitudes. Even, from Namibia, the galaxy is a little disappointing with a 80 mm scope. On the contrary, with a 20" dobson Obsession, I could see a lot of HII regions inside. Nice work, Bertrand. I like how you outlined the various HII regions. 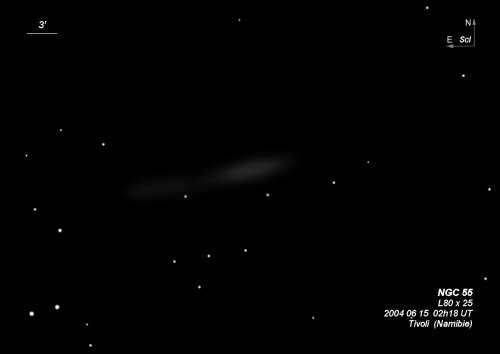 Just in case you are wondering why I it, it's because is one of the very few galaxies I've observed and it brings back good memories from summer vacations at dark sites.